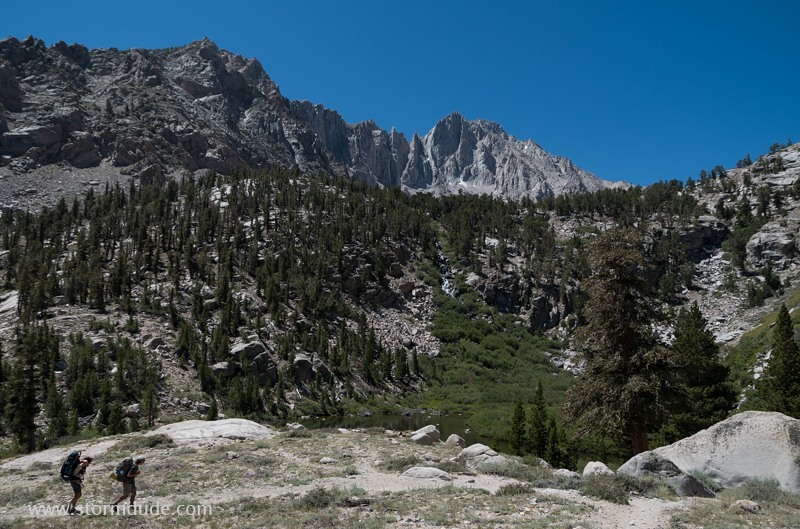 Beautiful Onion Valley trailhead, elevation 9,200 feet, in the Eastern Sierras. Also my first backpacking trip with a new Pentax K-50 SLR. 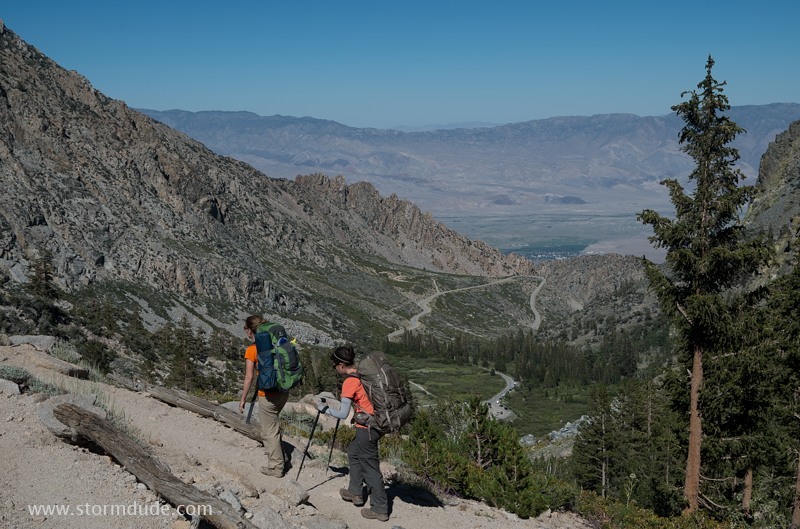 Switchbacks take you above Onion Valley with a view of the town of Independence, in the heart of Owens Valley. 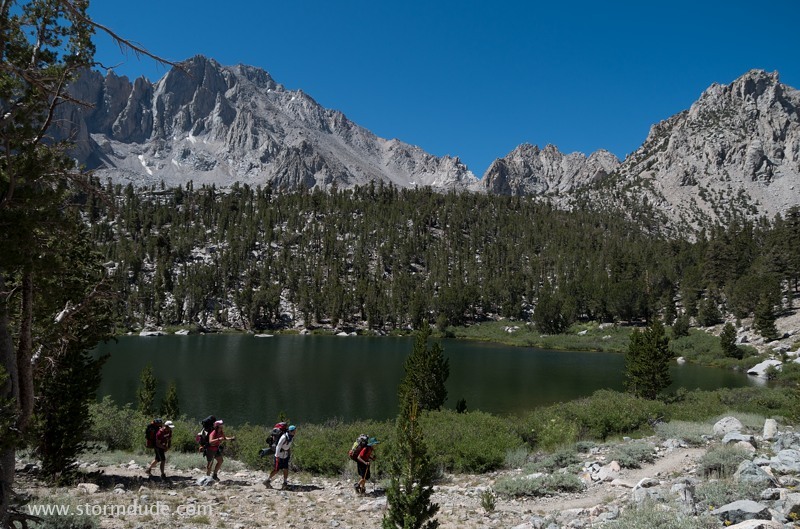 Reaching 10,000 feet at Little Pothole Lake, the first of five lakes on the way to Kearsarge Pass. 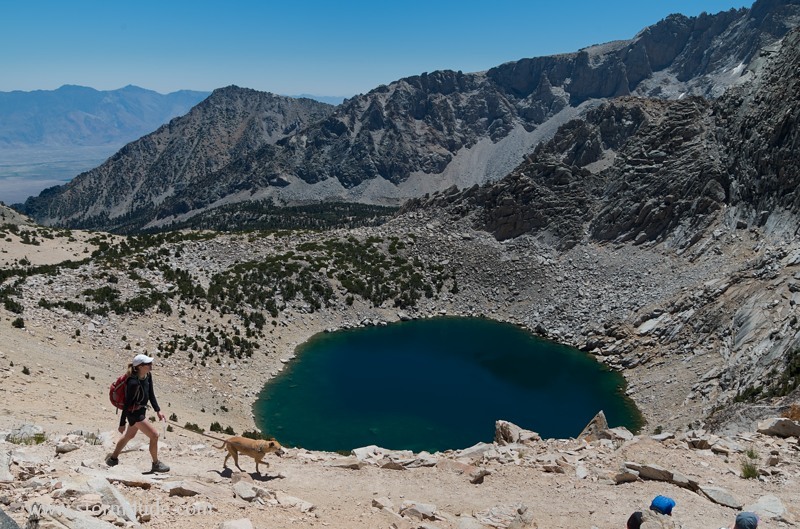 Gilbert Lake at 10,400 feet. 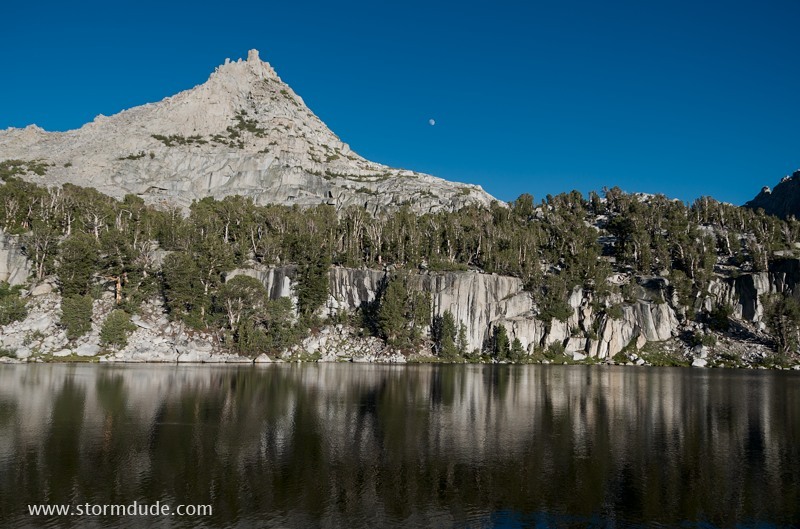 Lots of campsites are available near this scenic, easily accessible High Sierra lake. 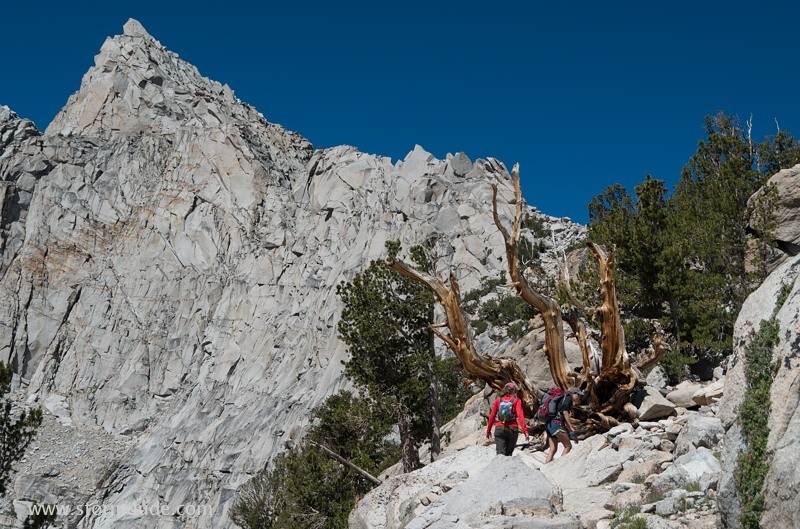 Rugged granite formations provide ever-changing scenery along the 5.5-mile trail to the pass. Big Pothole lake just below the Pass. 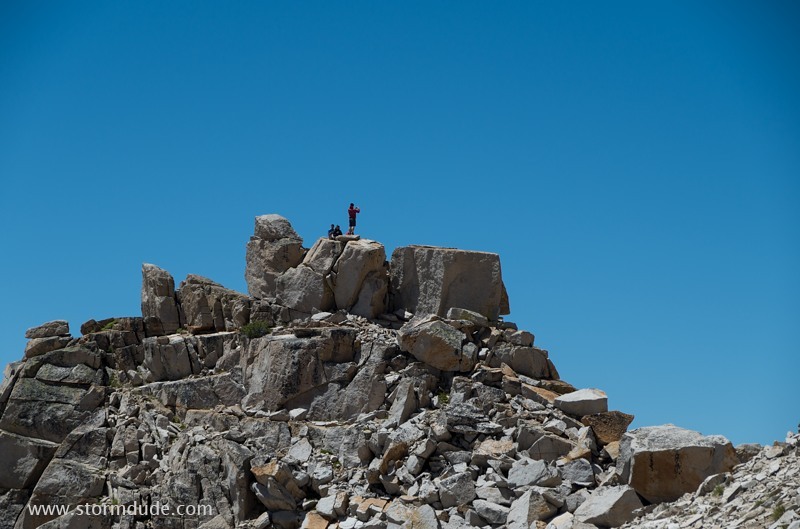 Hikers enjoying the view from Kearsarge Pass. 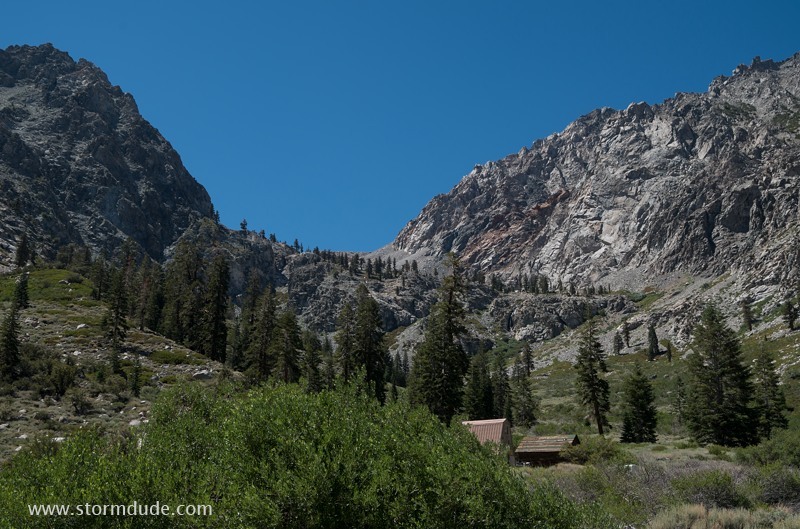 The pass marks the eastern boundary of Kings Canyon National Park. 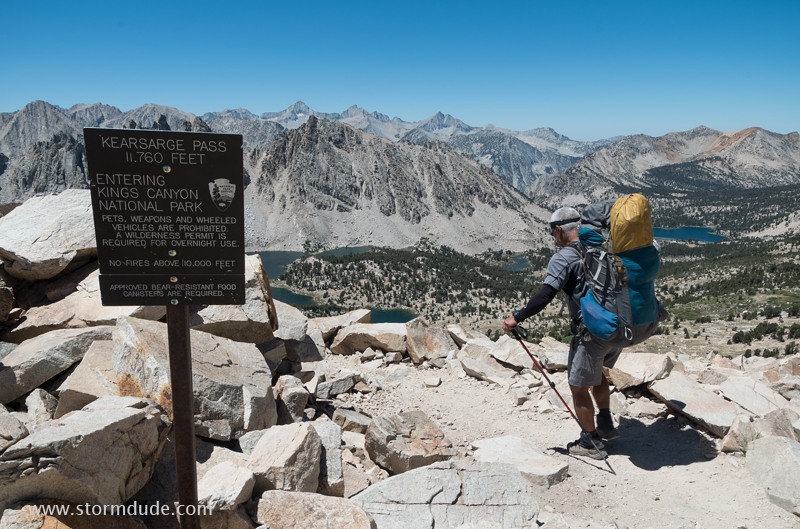 Kearsarge Pass is used as a resupply point for through-hikers on both the JMT (John Muir Trail) and PCT (Pacific Crest Trail). 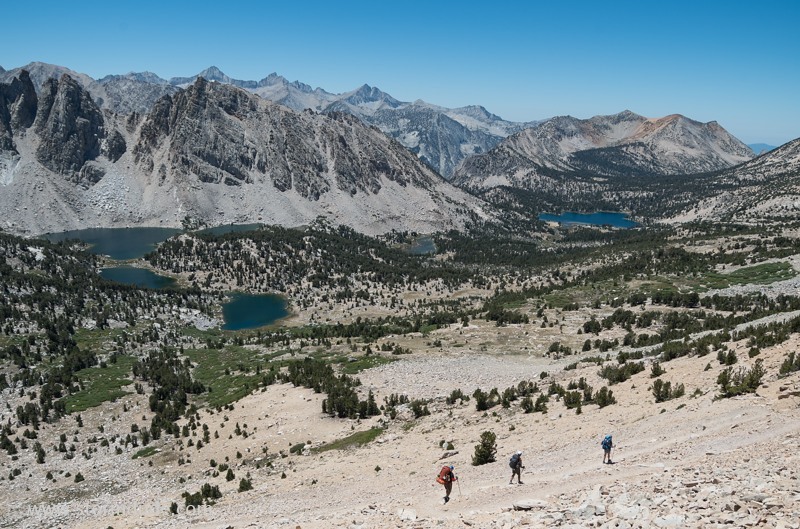 Incredible vistas during the hike down from Kearsarge Pass into the backcountry of Kings Canyon National Park. 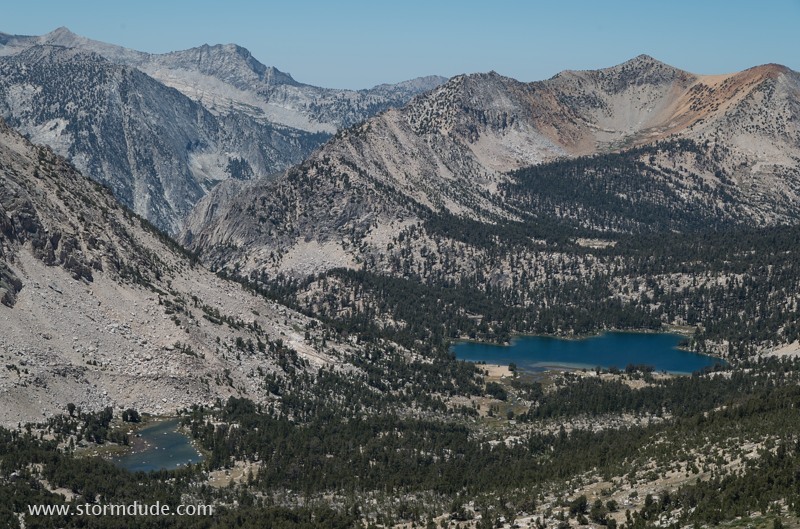 Telephoto lens shows the rugged beauty of the High Sierras. 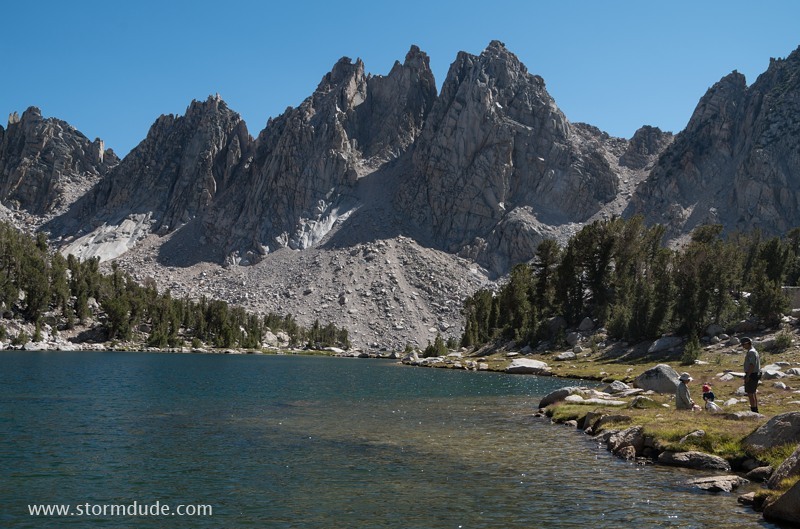 Beautiful Kearsarge Lakes, where I had the opportunity to meet Rick Sanger, a Kings Canyon Ranger, and his wife and young daughter. Rick is also an author of three children's books (available on Amazon.com). Early evening serenity at the northernmost Kearsarge Lake.